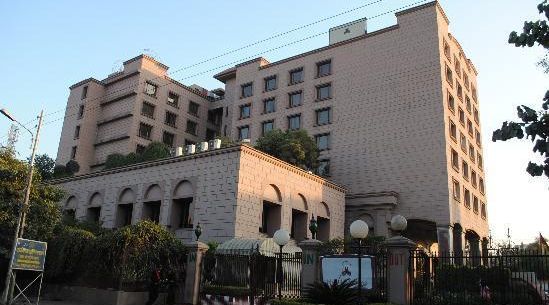 Lying in the heart of the charming city of Agra, Hotel Marina needs no introduction as it offers the best when it comes to hospitality and contemporary facilities. The hotel is committed to serve its guests in the best possible manner through its impeccable services. The hotel not only offers you a comfortable stay but also ensures that you enjoy your holiday in every sense. Apart from offering guests the temptation of spending time beside the majestic Taj Mahal, Hotel Marina has it all for satisfying the needs of discerning travellers. Foodies can head to "Curry Centre," a restaurant specializing in Indian cuisines and "The Olive Garden"- a multi-cuisine restaurant. 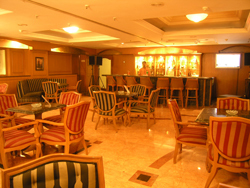 Guests can also refresh their evenings at the "Downtown Club" bar. For social gatherings, the hotel offers "Regent and Regal", a banquet hall ideal for gathering of 50-600 persons. It also has a business centre with the latest audio and video facilities. 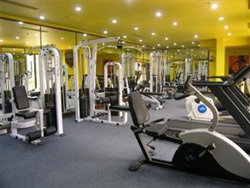 For recreation, guests can head to the swimming pool, golf course or fitness centre. This 4-star property features 145 rooms out of which 21 rooms are club rooms and 4 are suite rooms. 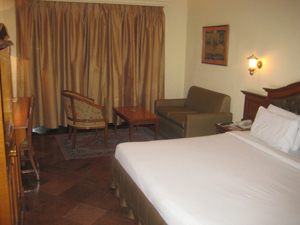 The rooms are chicly furnished, and offers guests a homely feel. The rooms have an opulent decor and are provided with 24 hours room service. 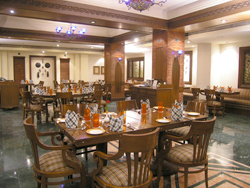 Moreover, the cordial staff of the hotel takes care of even the smallest of requirements to ensure a comfortable stay. 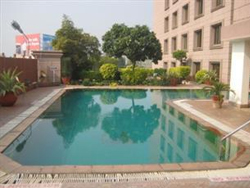 The hotel is located in close proximity to various tourist attractions in Agra including Jama Masjid (2 km approx. ), Mankameshwar Temple (2 km approx. ), Taj Mahal (5 km approx. ), and Fatehpur Sikri (36 km approx.). Kheria airport is about 8 Kms from the resort while Idgah Bus stand is 5.2 kms away.